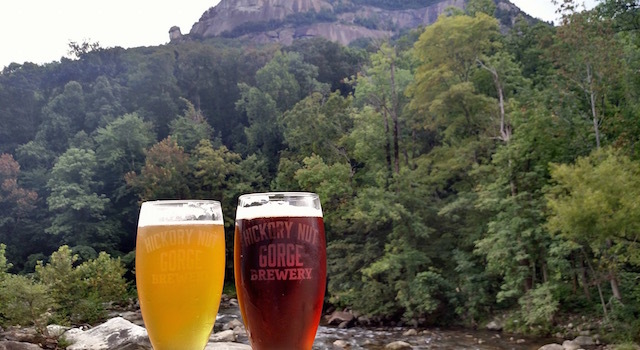 Lake Lure NC Restaurant, Brewery and Winery Guide - Eat and drink like a Lake Lure, NC local … or if you are a local, then make sure you know about the favorite Lake Lure, NC restaurants and nearby breweries and wineries. Check out our featured places that have something special ... crave-able dishes, fun atmosphere, great views, award-winning craft beers or artfully created wines that will please the palate. 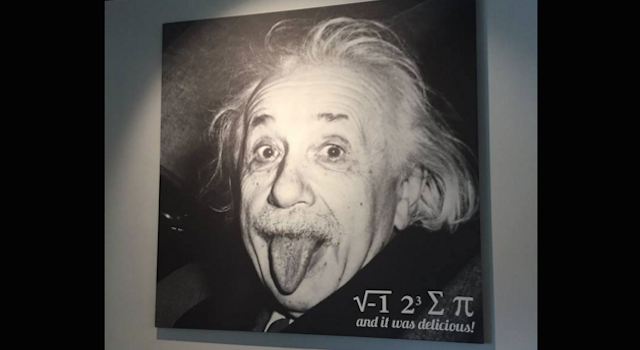 Hendersonville will be home to Pi-Squared Pizza, a unique family-friendly restaurant featuring world-famous, authentic Detroit-style pizza with a smart, healthy twist. 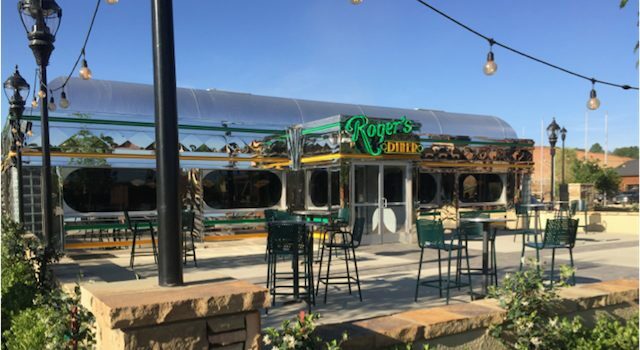 Roger’s Diner at Tryon International Equestrian Center is open to the public for breakfast, lunch and dinner seven days a week. 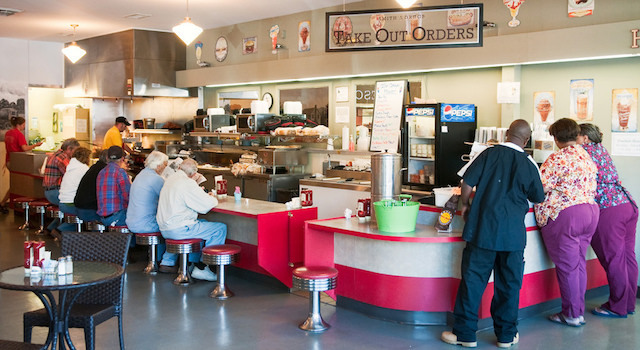 It boasts an authentic 50s vibe and classic diner menu. 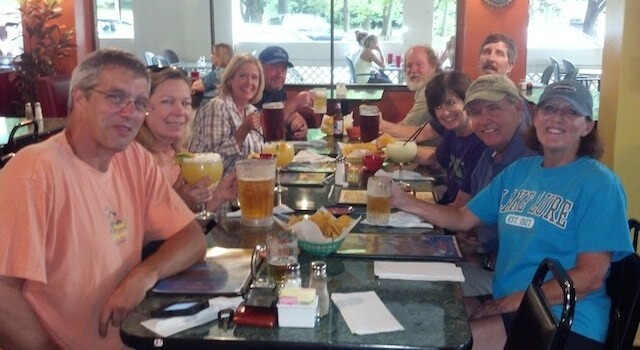 Discover what locals love about Lake Lure dining. A list of favorite dishes, crave-able creations, best spots for views, sun, fun, nice folks, music and more. 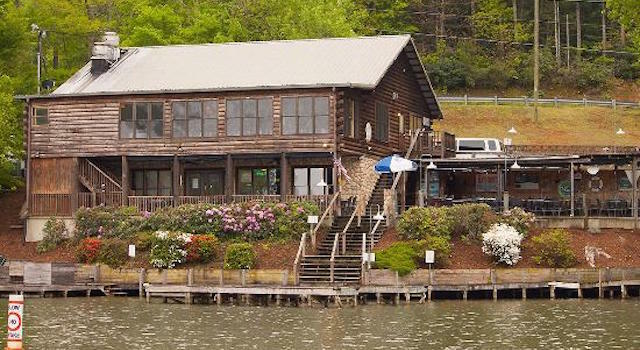 Larkin’s on the Lake & Bayfront Bar and Grill is the only lakefront restaurant on Lake Lure. 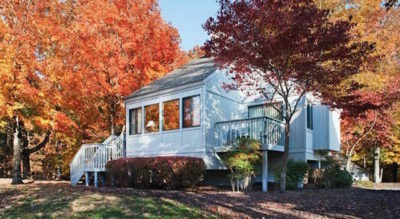 They have indoor and outdoor dining, a broad menu and lots of specials & events for added fun. Drive, boat or swim … just get here. 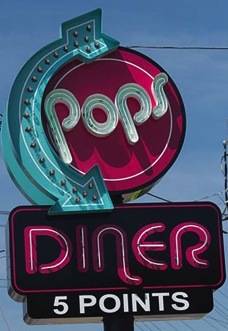 Pop’s Diner is a must-try, hot spot. Excellent food, service, big portions & great prices. The atmosphere & signature dishes take you back in time. 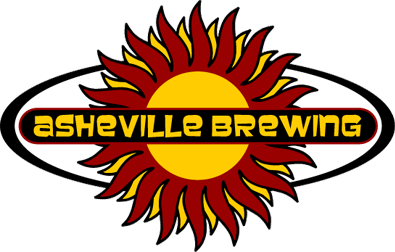 Asheville Brewing Company is Asheville’s 3rd oldest brewery and people’s choice favorite. They’ve got a great range of hand crafted brews and great food.